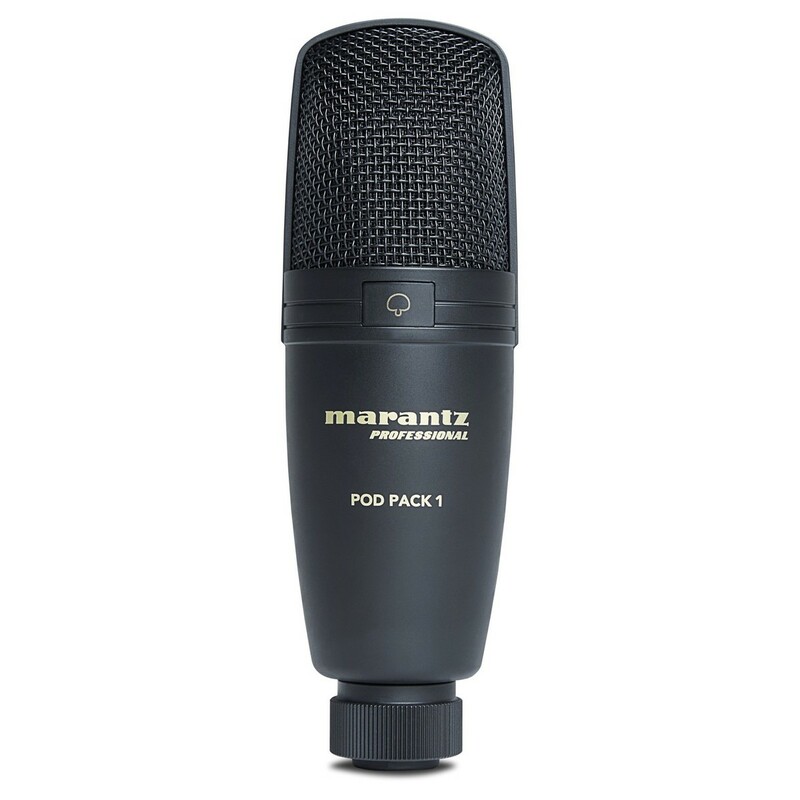 The Marantz Pod Pack 1 is the ultimate podcasting pack, comprised of a high-quality USB microphone and an adjustable boom arm for optimal positioning. The USB Cardioid condenser microphone is ideal for capturing podcasts, vocal demos, interviews and more. The wide frequency range and cardioid capsule ensures optimal audio quality. The USB connectivity provides plug-and-play functionality, eliminating the need for an external audio interface. The dual suspension boom arm stand ensures optimal positioning that will sit in place once positioned. It is designed to be clamp to any desk or table for maximum stability. The Marantz Pod Pack 1 is the ideal solution for anyone who wants to start getting into podcasting or wants to improve their existing setup. 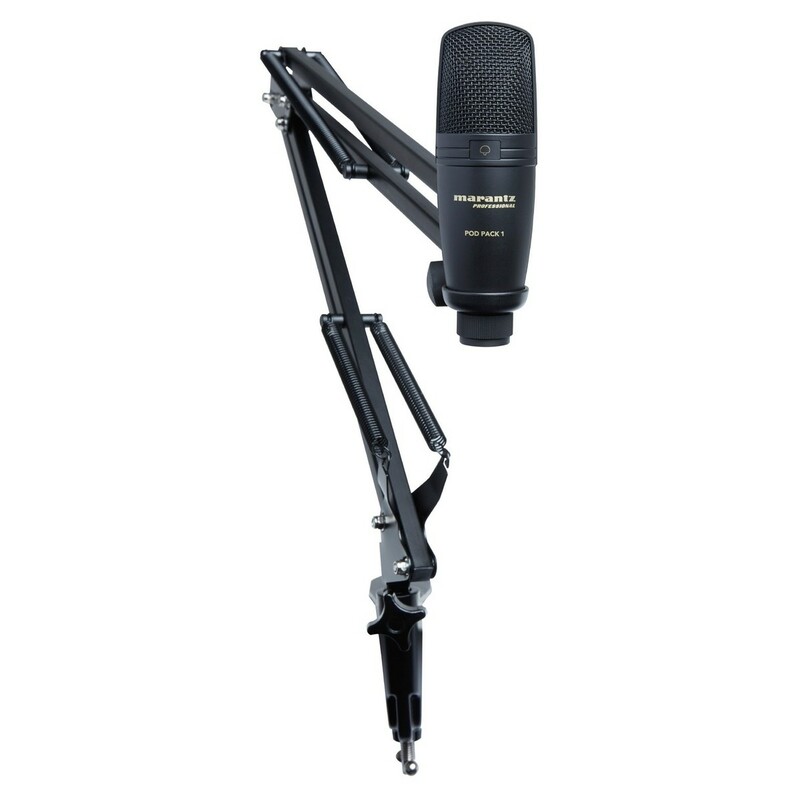 The Pod Pack 1 is comprised of a high-quality USB microphone and a robust boom microphone arm. The USB condenser microphone boasts a cardioid capsule, providing an extended frequency range designed for optimal clarity when it comes to vocals and speech. The microphone is ideal for interviews, podcasting, Youtube videos and more. It can also be used for recording vocals and instruments for demo and home recording purposes. It features an integrated steel grille, designed to eliminate unwanted vibrations for a cleaner signal. 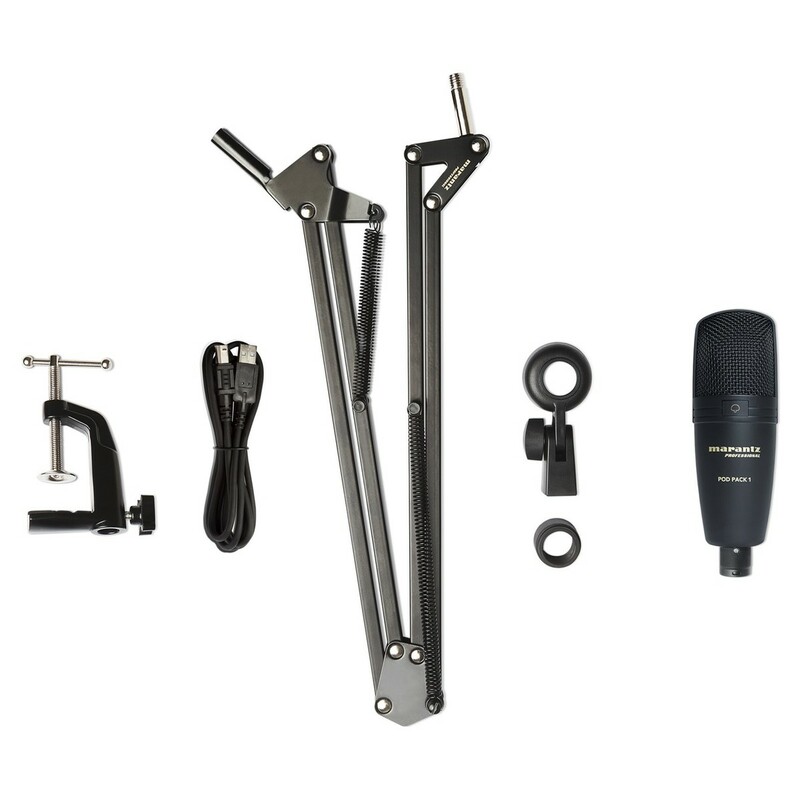 The pack also includes a robust, adjustable boom arm stand. This boom arm will fix directly to a table or desk surface for maximum stability. It features dual suspension springs provide a stable angle and is fully-adjustable to find the best possible position. The all-steel construction is not only robust but helps to ensure reliability. 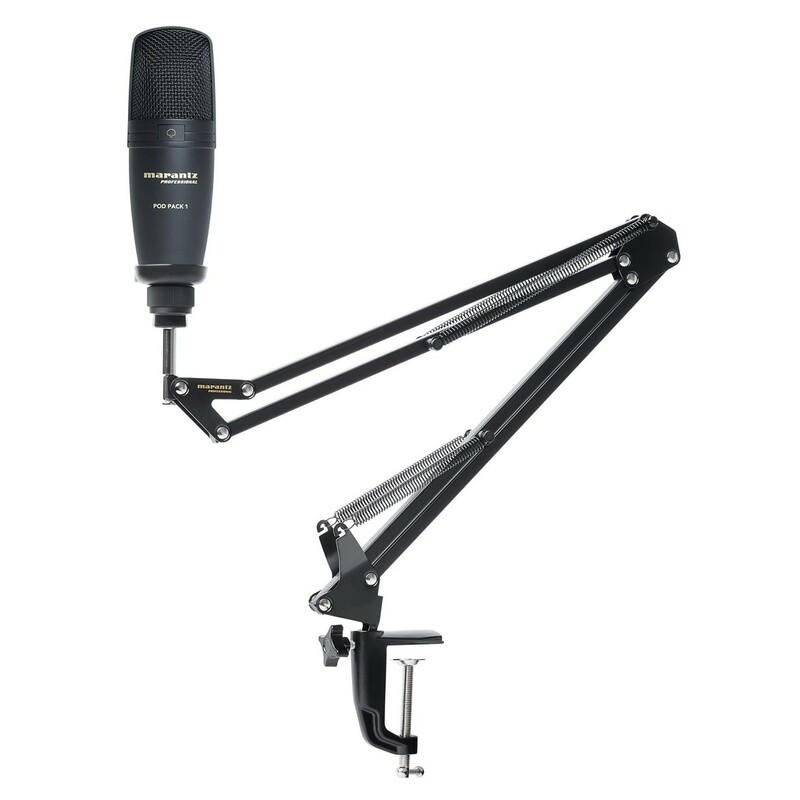 The adjustable design means you can position the microphone in any position you like, even suspended upside-down. The pack also comes complete with a USB cable for added convenience.